I am honored and humbled to announce that I was selected as one of six early career researchers to become the 2018 class of the William T. Grant Scholars Program. We were selected for this prestigious and highly competitive program out of 68 applicants, who were all passionate about reducing inequality in youth outcomes. My proposed work builds the case that economic factors, ethnic, and racial minority status perpetuate significant digital inequalities, that result in fewer opportunities and more severe online risks for disadvantaged youth, leading to unfavorable outcomes. My research takes a fine-grained approach to identify the underlying micro-level social processes that lead to digital inequalities. It then leverages technology to amplify protective factors, particularly coping responses, that can help youth be more resilient to online sexual predation before they become victims. 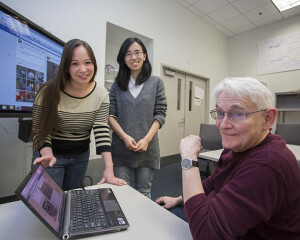 Empowering at-risk youth to manage online sexual risks more effectively will help them actualize the benefits of internet connectivity by teaching them how to engage online more safely. I am extremely excited to embark on this journey and work on research that ignites my passion for using technology to benefit those who need it most. Our CSCW 2017 research paper was released on the ACM Digital Library today! Abstract: Cross-sectional research suggests that online risk exposure (e.g., cyberbullying, sexual solicitations, and explicit content) may negatively impact teens, increasing concerns over the risks teens are exposed to online. Yet, there has been little research as to how these experiences impact teens’ mood over time, or how long these effects may last. To examine the effects of online risk exposure on mood, we asked 68 teens to report their weekly online risk experiences, emotions, and sense of well-being for two months. We found that teens experienced more negative emotions the week that they reported cyberbullying and exposure to explicit content, but these effects were gone one week later. In addition, teens reported a slight increase in positive emotions and mental well-being during weeks they were exposed to other risks. Our results suggest that most of the risks teens in our study experienced online only pose brief negative effects, if any, and initiates a discussion on how our society may overly problematize the negative effects of online risk exposure on teens. Most online safety tools (i.e., “parental controls”) are designed to meet the needs of parents and young children, ignoring the complex developmental needs of adolescents (ages 13-17) as they transition into adulthood. This makes sense; it is easier to design sociotechnical solutions that monitor and restrict undesirable behavior than it is to build systems that help adolescents youth how to self-regulate their own actions. Similarly, it is also more clear cut to create laws, such as the Childrens’ Online Privacy Protection Act (COPPA), that protect younger children (ages 13 and under), that together, either result in teens being treated like children or leaving teens to virtually fend for themselves. In my talk, I discuss the status quo of technical solutions for adolescent online safety and propose a paradigm shift towards more teen-centric approaches for keeping adolescents safe online, which includes empowering teens to self-regulate their online behaviors to more effectively manage the risks (e.g., information breaches, cyberbullying, sexual solicitations, and exposure to explicit content) they may encounter online. Networked privacy is a complex concept; it is connected with notions of identity, seclusion and autonomy. Age, gender, education, and culture are only some of the important factors that shape individuals’ online privacy concerns. In addition, privacy goes well beyond what people share via social media and the privacy settings on their profile. It involves nuanced on- and offline management of interpersonal boundaries to prevent unintended sharing, undesired engagement and disruptions. It is also concerned with recovering, if possible, once one’s privacy has been violated. These issues are especially important when we consider diverse populations, including different cultural backgrounds and users and non-users of various age ranges. However, it is difficult to find the optimal balance between offering a standard solution and taking individual differences into account. In this interactive panel discussion, expert networked privacy researchers from academia will discuss how privacy is conceptualized, enacted, and applied in practice and research. They will explain the unique privacy needs and expectations of a wide range of different users. In addition, they will engage with the audience to discuss how we can work together to integrate support for these individual differences into the design of Facebook. Looking forward to connecting with some talented and like-minded folks! In 2015, I was invited to speak with Matt Townsend regarding my research on building teen resilience to online risks. Today, we spoke about my new research on family communication regarding online risks and mobile apps for promoting adolescent online safety. In our interview, Matt reminded me that I needed to update my website. 😉 So, here I am providing a link to at least some of the resources we discussed during the interview for those who might visit. Also, here is a link to the podcast from BYU Radio. The Family Online Safety Institute has a lot of great resources on promoting a safer internet for all. Common Sense Media is another great resource. Rakkoon is an app developed by one of my collaborators for helping teens use social media more responsibly. Xooloo Digital Coach has created another app to help teens more effectively manage their digital habits. Here is the app I mentioned that was created by a 15-year-old girl: ReThink before the damage is done. I am always looking to forge new research collaborations with other academic researchers, as well as industry partners, who are equally dedicated to helping teens engage safely with others online. If you are interested in collaborations, you can contact me at pamwis@ucf.edu. Thanks, Matt, for having me on your show again. See You at CSCW 2017! Wisniewski, P., Xu, H., Rosson, M.B., and Carroll, J.M. Abstract: Past research has shown that parents tend to underestimate the frequency with which their teens experience online risks. However, little is known about whether and how teens communicate with their parents when online risks do occur. In a two-month, web-based diary study of 68 teen-parent pairs, participants provided separate accounts of the teens’ weekly online risk experiences. We found that most teens had little or no communication with their parents regarding their online risk experiences, and parents and teens shared very different perceptions and reactions when risks were reported, helping explain why communication was so poor. We discuss the implications of our results and make recommendations for how researchers and designers may work to improve the state of family communication regarding adolescent online risks in the future. Parental Control vs. Teen Self-Regulation: Is there a middle ground for mobile online safety? Wisniewski, P., Ghosh, A.K., Xu, H., Rosson, M.B., and Carroll, J.M. Abstract: We conducted a structured, qualitative feature analysis of 75 Android mobile apps designed for the purpose of promoting adolescent online safety. Through this analysis we identified 42 unique features that mapped to a theoretically derived conceptual framework of teen online safety strategies balanced between parental control strategies (through monitoring, restriction, and active mediation) and teen self-regulation strategies (through self-monitoring, impulse control, and risk-coping). We found that the apps strongly favored features that promote parental control through monitoring and restricting teens’ online behaviors over teen self-regulation or more communicative and collaborative practices between parents and teens. We use the lens of value sensitive design to discuss the implications of our results and identify opportunities for designing mobile apps for online safety that embed more positive family values. I just received the great news that my CHI 2016 paper received a Best Paper Award. “This is a prestigious, highly selective award. Of the ~2325 paper submissions, only 23 earned a Best Paper status (less than 1%).” I am highly honored for the second year in a row to receive a CHI Best Paper. A big thanks to my co-authors who were the Co-PIs of the NSF grant that made this research possible. Wisniewski, P., Xu, H., Rosson, M.B., Perkins, D.F., and Carroll, J.M. Abstract: In our study, 68 teens spend two months reflecting on their weekly online experiences and report 207 separate risk events involving information breaches, online harassment, sexual solicitations, and exposure to explicit content. We conduct a structured, qualitative analysis to characterize the salient dimensions of their risk experiences, such as severity, level of agency, coping strategies, and whether the teens felt like the situation had been resolved. Overall, we found that teens can potentially benefit from lower risk online situations, which allow them to develop crucial interpersonal skills, such as boundary setting, conflict resolution, and empathy. We can also use the dimensions of risk described in this paper to identify potentially harmful risk trajectories before they become high-risk situations. Our end goal is to find a way to empower and protect teens so that they can benefit from online engagement. Our paper entitled, “Framing and Measuring Multi-Dimensional Interpersonal Privacy Preferences of Social Networking Site Users” was recently accepted for publication in the journal of the Communications of the Association for Information Systems (CAIS). I’m excited to get to share some more of my dissertation with with the research community at-large. Authors: Wisniewski, P., Islam, N., Lipford, H.R., and Wilson, D.C. In this paper, we focus on interpersonal boundary regulation as a means to balance the tradeoffs between engaging with others and protecting one’s privacy on social networking sites (SNSs). We examine boundary regulation from the combined perspectives of SNS design and end user behavior; we conduct a feature-oriented domain analysis of five popular SNS interfaces and 21 semi-structured SNS user interviews. We use this information to construct a taxonomy of 10 types of interpersonal boundaries SNS users regulate to manage their privacy preferences. We then develop and validate scales to operationalize these 10 boundary types to measure the multi-dimensional nature of SNS users’ privacy preferences by using a sample of 581 Facebook users. Our taxonomy provides a theoretical foundation for conceptualizing SNS user privacy, and our scales provide a more robust way to measure SNS users’ multi-faceted privacy preferences. 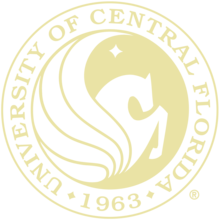 In a long overdue announcement, I am excited to announce that I have accepted a tenure track position as an Assistant Professor at the University of Central Florida in their College of Electrical Engineering and Computer Science. UCF is the second largest university in the United States and located in sunny Orlando, Florida. US News & World Report ranks our department as #90 and #3 on on the fastest up-and-coming universities. It has grown exponentially in size and opportunity since it was founded in 1963. Go Knights! I am teaching an undergraduate course in Human-Computer Interaction to 150 students this fall and supporting the newly ABET Accredited bachelor’s program in Information Technology. I have a number of on-going student research projects and faculty research collaborations. What I have found out about UCF so far is that it offers a lot of opportunities to new faculty, I just have to find the time to follow up on them all! It is nice moving back to Sunny Florida after a couple of freezing winters in State College, PA! I loved the experience I had at Penn State, but the weather was a bear. Though the last time I lived in Florida was 2004 when four hurricanes hit Tampa Bay in the course of a month – and flooded my house. Luckily, Orlando is farther inland, so hopefully I don’t have to worry about that again. Mike, Eva, and I are excited to be putting down some roots and look forward to this new adventure. Our research on adolescent online safety has been receiving a lot of attention in news media lately, as it should! This post doc has been a great learning experience, and I have been extremely blessed to work with such a talented team of researchers. BYU Radio’s The Matt Townsend Show – “Religion and Presidents, Pregnancy Brain, Teens Online,” April 22, 2015. Penn State Research Communications, Matt Swayne – “Resilience, not abstinence, may help teens battle online risk,” April 2015. Penn State Research Communications, Stephanie Koons – “Researchers seek ideal parenting style for teen online safety,” March 2015. Penn State Research Communications, Matt Swayne – “Teens’ approach to social media risks is different from adults,” March 2015. The Chicago Tribune, “Wisconsin stabbing: Violence influenced by fiction nothing new,” June 2014. Penn State Research Communications, Matt Swayne – “Parents should try to find middle ground to keep teens safe online,” March 2014. Our CHI 2015 paper was considered to be in the top 1% of all CHI submissions! Excited and thankful that our work is being recognized. Check out my earlier post to read the paper abstract and see the model results from our study. We are pleased to inform you that your paper, Resilience Mitigates the Negative Effects of Adolescent Internet Addiction and Online Risk Exposure, has been selected to receive a SIGCHI Best of CHI Best Paper Award. The SIGCHI Best of CHI Awards honor exceptional submissions to SIGCHI sponsored conferences. Receiving a Best Paper Award is an outstanding accomplishment. It indicates that the CHI Associate Chairs and Best Papers committee identified your paper as being among the top 1% of all submission to CHI 2015.